Just like they do whenever new TV shows are released over the Christmas period, Netflix seem destined to corner the Halloween season because they've released one of their scariest shows in recent memory, The Haunting of Hill House. The show is like a macabre mixture of Six Feet Under and The Conjuring because it combines family drama with some truly terrifying scares. Ok, if you're unfamiliar with the show and want to remain spoiler free - especially in relation to Nell's backstory - consider this your warning. It appears that Mike Flanagan (director of The Haunting of Hill House) has stuck his neck out and delivered a time-bending twist that has tied together the two narratives of the show, past and present. Right from the very beginning, we were led to believe that the 'Bent-Neck Lady' that resided in Hill House was a supernatural demon that was preying on Nell and the Crain family. 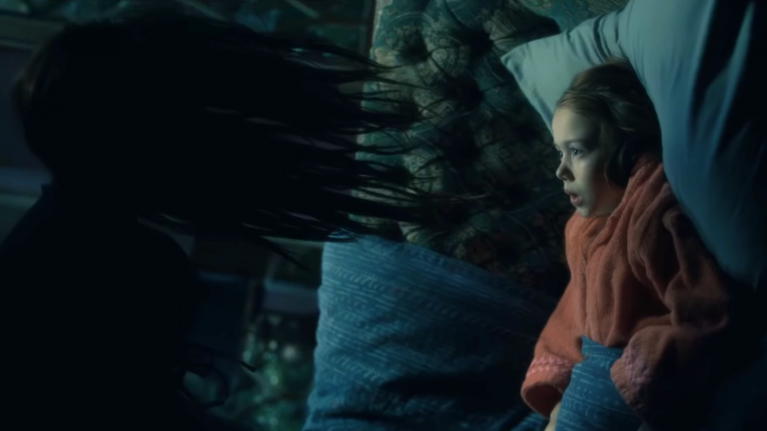 After that haunting scene which depicted Nell's death by suicide, we now know that she was pre-destined to be haunted, a tragic victim of her own inner demons and battles with depression and mental illness. Throughout the opening episodes, viewers assumed that Nell's crippling sleep paralysis was the sole product of the chilling 'Bent-Neck Lady.' Ultimately, we learn that Nell's deceased body is in fact the same ghost that haunted her for decades. It's an incredibly daring plot device that gives the show a whole different layer and significance. 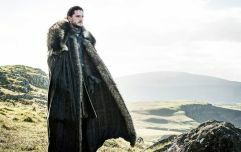 Right now, it's very likely that viewers are questioning what they've previously seen in the first few episodes and wondering what's still to come. After all, doesn't everything lead to the Red Door? When we caught up with Michiel Huisman (Steven Crain), we asked him about that particular sequence - Nell 'becoming' the Bent-Neck Lady - and it's potential significance for what's to come. "It's a brilliant piece of TV. I agree. Some of that, I wonder if Mike (director) totally knew that at the very beginning. Something like The Bent-Neck lady is so well plotted but there’s so many small layers like that in the show. Without giving too much away, towards the end, there’s a big revelation and in retrospect, you can play the whole season again and think ‘oh wait, this is not actually happening.' It's so layered and well written," said Huisman. If you're watching the show, it's fair to say that The Haunting of Hill House is after taking on a whole new direction.